2014 has arrived and I’m embracing the new year…it is truly a time for new beginnings. It’s been awhile since my last review on Fifty Shades of Wine. 2013 ended with some personally tough months. I lost, Mattie, my Airedale to cancer. She was 8 years old and words cannot describe the place she held in my life. When she passed away, a piece of my heart went with her. Slowly, my heart is mending and I am looking for 2014 to be a time for new beginnings. 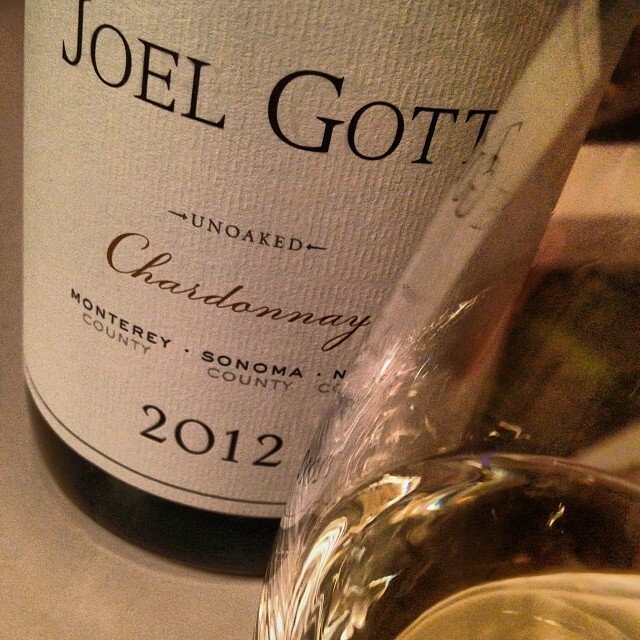 My word for 2014 is “simplistic” – This leads me to the appropriate selection of 2014’s first review, the Joel Gott 2012 Unoaked Chardonnay. This wine was quite refreshing. Very simple. Clean. Easy to drink. Great balance. Tropical fruit, a slightly floral note and minerality on the nose. On the palate I found tropical fruit, slight citrus, balanced acidity and long finish. This wine was great by itself. My word for 2014 is new: new attitude, new beginning, new career, new life. Happy New Year!